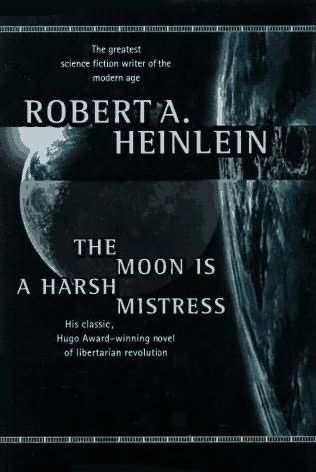 I am not much into reading science fiction but I just finished reading Robert A. Heinlein's The Moon Is A Harsh Mistress. 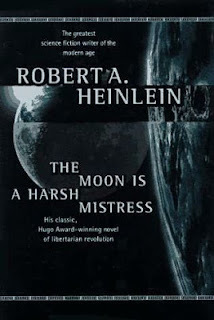 Considered one of the greatest modern science fiction and a libertarian classic, the book is about a lunar colony's revolt against oppressive rule from Earth.The book is said to have popularized the phrase "There ain't no such thing as a free lunch" (TANSTAAFL) and inspired countless readers to become libertarians. 5. "Revolution is an art that I pursue rather than a goal I expect to achieve. Nor is this a source of dismay; a lost cause can be as spiritually satisfying as a victory." 6. "More than six people cannot agree on anything, three is better — and one is perfect for a job that one can do. This is why parliamentary bodies all through history, when they accomplished anything, owed it to a few strong men who dominated the rest." 7. "In terms of morals, there is no such thing as 'state.' Just men. Individuals. Each responsible for his own acts." 8. "The chronic sickness of representative government, the disgruntled minority which feels — correctly! — that it has been disenfranchised." 9. "Seems to be a deep instinct in human beings for making everything compulsory that isn't forbidden." 10. "Limiting the freedom of news 'just a little bit' is in the same category with the classic example 'a little bit pregnant." What are yours? Share in the comments below.